The need for coral reef research has never been greater. Here in Australia, the World Heritage Status of the Great Barrier Reef is under review by UNESCO, and there is a very real risk that this iconic reef system could be listed soon as “in danger”. Globally, more than 200 million people depend on the ecosystem services that coral reefs provide for their livelihoods and food security. In Australia, the Great Barrier Reef alone generates $6 billion per annum in income from tourism and fisheries. Consequently, the challenges associated with sustainable use of the world’s coral reefs provide a stark example of the need to build bridges between the natural and social sciences, to strengthen capacity and communication, and to inform and support actions for changes in reef governance and management in order to enhance human wellbeing. A 2-day symposium on Thursday 10th and Friday 11th October 2013 with over 30 presentations by leading scientists, managers and policy makers. The symposium is aimed at a general audience of scientists in related fields, natural resource managers, conservationists, and policy makers. The symposium will be held at the Rydges Southbank, Townsville. A public forum also being held at Rydges Southbank, at 5.30pm for a 6.00pm start, Thursday 10 October 2013. Hosted by Paul McDermott, this event is for everyone: the general public, teachers and school children (older than about 10) as well as scientists, resource managers and policy-makers. present research on understanding the effects of the changing environment on marine ecosystems. Glenn is an ARC Future Fellow in the ARC Centre of Excellence for Coral Reef Studies. His expertise is in the ecology of reef fishes, and he works with local communities, NGOs and governments to improve the management and conservation of coral reefs and their fisheries. Current projects include measuring larval fish dispersal, understanding how dispersal impacts fisheries management and biodiversity conservation strategies, and developing new approaches to systematic conservation planning in the Coral Triangle region. Michael is Assistant Professor of Marine Science at King Abdullah University of Science and Technolgy in Saudi Arabia and leads the Reef Ecology lab in the Red Sea Research Center. 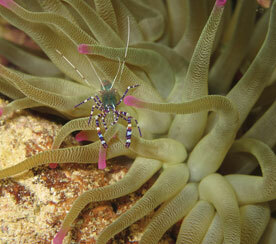 His research focuses on a range of coral reef taxa. Michael’s research interests are focused on coral reef ecology, including larval connectivity in coral reef fishes, movement ecology of coral reef organisms, biogeography and the impact of climate change on coral reef ecosystems. These projects utilize techniques ranging from simple in-situ observations to parentage analysis using DNA microsatellite markers. He is part of an international team developing techniques used to track the dispersal patterns of larval fish and is leading one of the world’s largest whale shark tagging and tracking programs. Sandra is a PhD candidate at the Australian National University. She completed a BSc. Hons. in 2006 and a MSc. in 2009 at McGill University, Canada where she studied seagrass communities in Barbados and African cichlid fishes in Uganda. Sandra has always been interested in the effects of different environmental and biological stressors on organisms, particularly in widespread species that thrive across a range of habitats. Her PhD combines techniques in ecomorphology, physiology and kinematics to explore natural patterns of intraspecific phenotypic variation in reef fishes and their capacity for adaptation to environmental change. Jon is the Team Leader of the Catchment to Reef Processes Research Group at TropWATER. His research interests are in the sources of pollutants in catchments, transport of pollutants to the marine environment, the dispersal of land-based pollutants in coastal and marine environments and the effects of terrestrial pollutants on marine ecosystems. He has published over 80 peer reviewed articles in this field as well as more than 100 technical reports. He is also heavily involved in policy advice to Australian governments regarding management of water quality issues for the Great Barrier Reef. He was the lead author of the Scientific Consensus Statement (2008) documenting the status of knowledge and management for water quality issues affecting the Great Barrier Reef for the Queensland Government and is currently leading the preparation of the 2013 Scientific Consensus Statement. Sean is a Program Leader with the ARC Centre of Excellence for Coral Reef Studies and a Professorial Fellow within the School of Marine and Tropical Biology at James Cook University. Sean combines mathematical and statistical modelling with fieldwork and laboratory experiments to study the dynamics of biological turnover at all scales, including population dynamics, species interactions and biodiversity, and macroevolution. In 2009, he was awarded the Fenner Medal of the Australian Academy of Science which honours outstanding research in the biological sciences by a scientist under 40. Jon has 39 years of professional experience as a natural protected area planner and manager (both terrestrial and marine), 28 years of which has been in the Great Barrier Reef (GBR) Marine Park. Jon joined GBRMPA in 1986, and had a variety of roles over the years including field management, planning and world heritage. Between 1998-2003, Jon was the Director responsible for the Representative Areas Program (RAP), the major rezoning program undertaken for the entire GBR. The systematic marine planning approach developed during RAP is today widely considered as ‘world’s best practice’ and has received eleven national and international awards. For his efforts with RAP, Jon was awarded an Australian Public Service Medal and a Smithsonian-Queensland Fellowship. Jon has published widely on MPA management and planning, as well as on world heritage matters, and was appointed as one of Australia’s representatives on the World Heritage Committee from 2007-11. Sophie is a Chief Investigator with the ARC Centre of Excellence for Coral Reef Studies undertaking research in the School of Biological Sciences at the University of Queensland. She is an expert in the photobiology of reef-building corals and leads a growing laboratory that is focused on the physiology and biochemical response of the dinoflagellate-coral partnership to changing environments. Her research seeks a greater understanding of the biotic and abiotic drivers that support rapid net coral growth. Louisa is a social scientist with interests in governance of marine systems in developing countries. Her PhD, completed through the University of East Anglia (UK), used institutional analysis and political ecology to explore issues of inclusion, knowledge and complexity in marine social-ecological systems in Kenya. Following this, Louisa moved to the WorldFish Center in Malaysia to continue work in resilience thinking and how these concepts can be applied to small-scale fisheries in the developing world. Louisa started as a postdoctoral fellow at the ARC Centre of Excellence for Coral Reef Studies in 2010. Her current research investigates the legitimacy and effectiveness of coastal governance and climate change adaptation in Australia, Solomon Islands, and Tanzania. Michael is a Research Fellow at the ARC Centre of Excellence for Coral Reef Studies, James Cook University. He obtained his PhD in Anthropology and Environment at the Australian National University in 2009, and has worked widely on the social, political and cultural aspects of marine resource management in the Asia-Pacific region. He is currently based at Peking University in Beijing where he is researching the environmental and social implications of Chinese seafood consumption. Jim is a Research Fellow in the ARC Centre of Excellence for Coral Reef Studies at the University of Western Australia. He is an oceanographer interested in how the growth and metabolism of coral reef communities respond to environmental and climate change; particularly due to increased ocean warming and acidification. His current research focuses on understanding how oceanic and atmospheric processes influence rates of calcification, production, and nutrient uptake in reef communities via changes in light, temperature, water chemistry, and hydrodynamics. Joana grew up in Lisbon, Portugal. She completed a B.Sc. with Honours in Marine Biology in 2003, a Post-Graduation in Statistics Applied to Biology and Health Sciences in 2005, and a Ph.D. in Marine Sciences in 2009, at the University of Lisbon. Joana is a larval ecologist with a special interest in marine invertebrates. She uses a combination of empirical studies and mathematical modelling to understand how environmental conditions determine important ecological processes such as dispersal and recruitment of marine invertebrates. Her current research focused on the early life-history of a range of Indo-Pacific coral species and its implications for coral dispersal and metapopulation connectivity. She also aims to predict how the dispersal and connectivity of coral populations will be affected by natural and/or human-induced disturbances. A better understanding of coral dispersal patterns, and how they might change with global warming, is essential to assist the design of effective marine reserve networks. Nick is an ARC DECRA Fellow in the ARC Centre of Excellence for Coral Reef Studies at James Cook University. He is an applied coral reef scientist working on large scale ecological questions directly relevant to sustainable management and conservation. He has assessed the long-term impacts of climate induced coral bleaching on coral reef fish assemblages, fisheries and ecosystem stability. He has also worked extensively on the ecological ramifications of fishing and closed area management to reef systems. Nick is now turning his efforts towards understanding the patterns and processes by which coral reefs degraded by coral bleaching recover, and how this can be incorporated into, or influenced by, management action. Hugo is currently a Postdoctoral Research Fellow in the ARC Centre of Excellence for Coral Reef Studies at James Cook University. His research is broadly focused on the role of no-take marine reserves in the management and conservation of coral reef fishes. Hugo’s current research projects apply methods of parentage analysis in commercially and recreationally important reef fish to assess the level of demographic connectivity between fish populations. Understanding these processes is of critical importance to the effective conservation of marine biodiversity, fisheries management and the design of marine protected areas. Hugo recently completed his PhD in Marine Biology in 2012 in co-tutelle between the Ecole Pratique des Hautes Etude, France, and James Cook University, Australia, for which he received the Virginia Chadwick award for excellence in scientific publishing. Christina is a joint Stanford University/ARC Centre of Excellence for Coral Reef Studies research fellow. She is an interdisciplinary scientist working to develop efficient, equitable, and sustainable approaches to managing coastal resources. Her research integrates theory and methods from economics, social psychology, political science, and fisheries science to examine the way people’s values relate to their social context. This area of research is important because these attributes influence people’s behaviour, and can be used to determine people’s likely response to environmental or policy change. Ove is a Deputy Director in the ARC Centre of Excellence for Coral Reef Studies, Director of the Global Change Institute at the University of Queensland, and an Australian Laureate Fellow (2013-2018). His research interests span a broad range of topics including marine biology, evolution, physiology, biochemistry and molecular biology of plant-animal symbioses, co-evolution, coral bleaching and climate change. Ove was elected as a Fellow of the Australian Academy of Science in 2013 and has published over 200 papers, including 16 in Science and Nature. He is reviewing editor at Science Magazine. Michael is originally from Nebraska (USA), he obtained a BS in Biology and Chemistry from the University of Idaho in 2004. Michael completed his PhD in 2010 in the MIT/WHOI Joint Program in oceanography working on biomineralization in corals. He went on to do a postdoc at the Centre Scientifique de Monaco where he worked on the energetics of coral calcification, and has recently started a postdoc at the University of Western Australia where he is working on the boron isotope pH proxy in corals. Terry is the Director of the ARC Centre of Excellence for Coral Reef Studies and an Australian Laureate Fellow (2012-2017). His research focuses on the linkages between the ecology of reefs and their importance for societies and economies. He has worked extensively in Australia, the Coral Triangle Region, and in the Caribbean. An important aspect of his research is understanding the dynamics and resilience of coral reefs, and translating this knowledge into innovative and practical solutions for improved reef management. Terry is a Fellow of the Australian Academy of Science and the Beijer Institute for Ecological Economics, Stockholm. He is an ISI Highly Cited Researcher, and was recognized in 2008 by the International Coral Reef Society, with the award of the society’s Darwin Medal. Geoff is a Professor in the School of Marine and Tropical Biology and a member of the ARC Centre of Excellence for Coral Reef Studies at James Cook University. He is one of the world’s most cited authors in the fields of coral reef ecology and marine conservation biology, with over 160 refereed scientific publications in peer-reviewed journals and books. His special interests are in the processes determining the structure and dynamics of reef fish populations, and strategies to reduce human impacts on threatened fish species. Jones and collaborators were the first to tag and recapture marine fish larvae. He has since become a world leader in the field of marine population connectivity and its implications for the ecology, conservation and management of reef fish populations. Bill is a Chief Investigator in the ARC Centre of Excellence for Coral Reef Studies. Bill studies the dinoflagellate Symbiodinium, and his research focuses on linking changes in the gene expression of Symbiodinium to physiological of the algae and the intact coral holobiont (its host), and subsequent ecological changes. In particular, he is interested in how these dinoflagellates respond to human induced stress, such as climate change, what effects these changes have on the coral host and how these responses of the alga effect the future of coral reefs as we know them. Yossi is a Raynor Professor of Environmental Conservation Research at Tel Aviv University (TAU) Israel; Chair of the Scientific Management Committee ARC Centre of Excellence for Coral Reef Studies. He served as Chairman of the Zoology Department (1989-90) and Dean (1990-95) of the Faculty of Life Sciences, Tel Aviv University (TAU), Founder and Chairman of the Porter School for Environmental studies at TAU (1996-2000). His research interests focus primarily on ecology of reef corals, spanning broad range of topics, including: coral community structure, life history, reproductive strategies, biodiversity, conservation and management, evolution, physiology, oil pollution, coral diseases, bleaching and climate change. He has published over 210 papers, including 9 in Science or Nature. In 2000 he was awarded the prestigious Darwin Medal by the International Society for Reef Studies. He was elected in 2009 as a Fellow to the Israeli Academy of Science (first ecologist in the Academy). Mark is a world expert on processes that regulate fish communities, particularly within coral reefs. He is known for his novel, innovative research that explores the mechanisms underlying population processes and how they scale to community dynamics. He has contributed greatly to our understanding of the interconnections among different parts of the complex life cycle of marine organisms and how small changes to the processes at early life stages can have major repercussions for the numbers entering subsequent life stages and their relative fitness. In the last ten years he has been placing his research into the sphere of a changing, disturbed world and examining how environmental factors directly affect life history characteristics, behaviour and survival. The integration of studies involving parental effects, multigenerational experiments and field experiments have resulted in a comprehensive understanding of how some common reef species respond to changing environmental conditions through modifications in their physiology. More recently, he has been focusing attention on how the changing thermal environment and ocean chemistry affect population processes and the ability of fishes to acclimate or adapt to these conditions. Much of this research has contributed to our understanding of how environmental and social conditions experienced by the current generation on the reef can affect the quality and number of larval offspring produced, their growth and development and their subsequent fitness. These sublethal, trait-mediated, effects can be more important than direct (lethal) effects. Mark runs a large group of post-graduate students and still manages to spend 3 months of the year underwater playing with the animals. Malcolm is a Deputy Director of the ARC Centre and an Australian Laureate Fellow (2013-2018) at the University of Western Australia. Malcolm’s research interests focus on the modern part of the geologic record using isotopic and trace element geochemical methods to determine how climate and anthropogenic processes have influenced both past and present environments with particular emphasis on coral reefs. Malcolm has received a number of prestigious awards, most recently in 2010 he was elected as a Fellow to The Royal Society. In 2009 he was awarded the Jaeger Medal for his career achievement in the Earth Sciences and has Fellowships of the Australian Academy of Science (2004), the Geological Society of Australia (2007), the Geochemical Society (2008) and the American Geophysical Union (2002). Malcolm is an ISI Highly Cited Researcher and has published over 250 scientific papers in leading international journals including 23 in Science and Nature. Philip has broad interests in the biology and ecology of marine fishes. His current research program focuses on understanding and predicting the impacts of climate change on populations and communities of coral reef fishes, both directly through changes in the physical environment and indirectly through effects on coral reef habitat. Using a range of laboratory and field experiments he is investigating the effects of increased temperature and ocean acidification on reef fish populations and testing their capacity for acclimation and adaptation to a rapidly changing environment. He has published over 150 scientific papers, including major reviews and research papers on the impacts of climate change. Jamie is Research Director at the Australian Institute of Marine Science. Prior to this he was Science Leader for Western Australia and Leader of the Exploring Marine Biodiversity Research Team at AIMS. Before joining AIMS Jamie worked for the WorldFish Center where he managed a range of coral reef projects including ReefBase, a global information system for coral reefs. During this time he served as Co-Chair of the Global Coral Reef Monitoring Network Management Committee and Chair of the International Coral Reef Action Network Steering Committee. Prior to WorldFish he was the Director of Information Support at the Great Barrier Reef Marine Park Authority and a senior scientist at the Australian Institute of Marine Science. During this period he conceived of, and led the production of the first State of the Great Barrier Reef World Heritage Area Report and edited the first AIMS Long-Term Monitoring Report for the GBR. Jamie was a member of the JCU Coral Reproduction Group which was instrumental in discovering the mass coral spawning phenomenon, and which was awarded Australian Eureka Prize in 1992. His other reef interests include coral ecology, coral bleaching, remote sensing, reef monitoring and management and larval dispersal. Serge has been involved in the study of population genetics of marine fish since the beginning of his career that started with his PhD in 1989. Over the past 20 years, he has published about 65 papers in international journals dealing with the population genetics of coral reef fishes and an additional 50 papers dealing with ecology, ecology of marine protected areas and recruitment of marine fishes. ISI Essential Science Indicators (ESI) analyzed research into coral reef ecosystems in the past decade (1995-2005) and ranked his work at #19 in the world out of 5,060 authors (see http://esi-topics.com/coralreef). 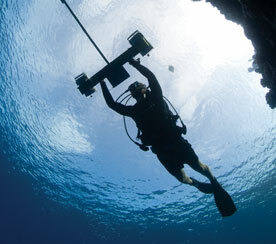 Bob is a Program Leader in the ARC Centre of Excellence for Coral Reef Studies. His research includes aspects of spatial data sets on biodiversity, geographic information systems, software development, and the socio-economic issues involved in implementing conservation action. During almost 20 years as a research scientist for the NSW National Parks and Wildlife Service he developed and applied leading-edge techniques in conservation planning, influenced policy and conservation practice, and began a long series of international collaborations. In 2002 he was awarded The Royal Botanic Gardens’ Eureka Prize for Biodiversity Research. In 2008 he was awarded the inaugural Australian Ecology Research Award from the Ecological Society of Australia. His most recent recognition is being elected in 2010 as a Fellow to the Australian Academy of Science. Jodie is a Super Science Fellow in the ARC Centre of Excellence for Coral Reef Studies at James Cook University. Her areas of expertise are ecological and conservation physiology, with an emphasis on contemporary issues that threaten marine and freshwater fish populations. She specifically investigates how fish perceive and mitigate environmental and anthropogenic stress by means of physiological and behavioural modifications, an important emerging area of study that is vital for effective management and conservation of marine and freshwater ecosystems. Simon is a Senior Scientist in the Biology Department and Director of the Ocean Life Institute at the Woods Hole Oceanographic Institution, USA. His research program focuses on the movement ecology and ecogeochemistry of ocean ecosystems. Using a range of techniques including DNA parentage analysis, compound-specific stable isotope analysis and satellite tagging approaches, he is investigating lifetime movement patterns of fishes associated with coral reefs and the structure and functioning of reef food webs. Most recently this work has taken him to relatively pristine reefs in the central Pacific and Red Sea where he is investigating the flow of carbon on coral reefs and the detrimental effects that anthropogenic impacts may have on coral reef ecosystems. Madeleine currently holds a prestigious 4-year Australian Research Council Future Fellowship at the Australian Institute of Marine Science (AIMS), where she has been since 2001. At AIMS, she leads a program on the genetics/genomics of adaptation/acclimatisation of corals to climate change. This research program includes the study of the coral host animal and several of its microbial symbionts, primarily Symbiodinium and viruses. Her work is increasingly focusing on the development of genetic tools for coral reef management (e.g. reef connectivity, experimental evolution of Symbiodinium), and an assessment of the impacts and likely success of certain management strategies (e.g. managed translocation). Her contributions to Australia’s coral reef science were recognised with the 2005 Dorothy Hill award for women under 40, awarded by the Australian Academy of Science. Rebecca is a Research Fellow at the ARC Centre of Excellence for Coral Reef Studies, James Cook University. Her research explores how to develop effective conservation planning strategies in regions with high resource dependence and decentralised management: the Coral Triangle and Pacific Islands. A central theme in her research is the importance of spatial scale; in particular, the need to resolve social-ecological scale mismatches, to ensure that local management actions have emergent properties that conserve ecological connectivity processes. Bette is a Chief Investigator in the ARC Centre of Excellence for Coral Reef Studies and a Professor in the School of Marine and Tropical Biology at James Cook University. Her research addresses questions relating to the health of reef corals in an era of climate change and increasing anthropogenic impacts. Her current research strives to understand inter-kingdom symbiotic partnerships that underpin coral health, factors driving outbreaks of coral disease, and the potential for corals to acclimatise and adapt to a changing world. She is involved in several international working groups to further understanding of the ecology of infectious diseases and raise awareness of coral health issues throughout the Indo-Pacific. Paul McDermott is one of the most popular performing artists in Australia. Best known for hosting the television show, Good News Week and for his role as a member of the musical comedy group the Doug Anthony All Stars, Paul is often described as pure evil, with the voice of an angel. In addition to being a comedian and TV host, Paul is also an accomplished writer, director, singer, actor and artist, with an internationally recognised career across many mediums including TV, film, radio, stage, theatre, music, the visual arts and even opera. Coral reefs support a staggering diversity of fishes. I explore where reef fishes came from and describe recent breakthroughs in our understanding of the role they play on today’s coral reefs. Reefs have evolved in the presence of these fishes for over 50 million years, yet their relationships are changing. I will examine what these changes mean for the future of the Great Barrier Reef. Professor David Bellwood is a Professor in Marine and Tropical Biology at James Cook University. David’s interests focus on the evolution and ecology of coral reef fishes. By combining work on fossils, phylogenies and modern fishes he is able to gain unique insights into the role of fishes on coral reefs. His overarching goal, however, is to understand and to find practical solutions to the challenges facing today’s coral reefs. The coral immune system: weapon of mass destruction or musical instrument? Like all animals, corals have to defend themselves against myriads of microbes and other pathogens. The decryption of coral genomes gives us unprecedented insights into the immune system of these animals and prompts a rethink of what immunity really means. In recent years declines in coral calcification have been reported around the world, matching the steady rise in carbon emissions to the atmosphere from human activity. My aim is to go back to basics and explore the effect of climate change on every gene in the coral genome. This is an essential first step in apprehending how coral growth is affected by climate change. It has the potential to give us a clearer understanding on how best to protect our coral reefs in a world where enormous changes are taking place at great speed. Aurelie Moya is a research fellow in the ARC Centre of Excellence for Coral Reef Studies. Aurelie completed her PhD at the Scientific Centre of Monaco in 2008, and worked at the University of Nice (France) and the Laboratoire d’Oceanologie de Villefranche-sur-mer (France). Her passion for marine biology took her to Australia in 2009. Aurelie’s research interests focus on understanding how corals build their skeleton and how it is affected by climate change. Coral reefs on the move: is there any place to hide from climate change? Reef response to past climate change often involved wholesale movement to more favourable latitudes, accompanied by a loss of diversity in equatorial regions. There are increasing signs of living coral reef species moving to higher latitudes. I will describe these past and ongoing processes in the context of both ongoing climate change and other anthropogenic impacts that will affect the capacity of reefs to thrive in the 21st Century. John Pandolfi is in the School of Biological Sciences at The University of Queensland and a chief investigator of the ARC Centre of Excellence for Coral Reef Studies. He has published more than 100 scientific articles. He likes hunting for fossils because they help him to uncover the recent past history of living coral reefs. He is particularly interested in the response of past reefs to earlier episodes of climate change. The aim of the no-take “Green Zones” of the Great Barrier Reef (GBR) Marine Park were to protect bioregions . However, these green zones are controversial, since they ban fishing in some areas of the park. A strong perception exists in the fishing community that such zones wastefully “lock up” fish resources. Some scientists counter this claim by suggesting that the green zones will become havens, increasing the numbers of spawning fish like the iconic coral trout. Coral trout cast their larval offspring widely, so that all of this extra spawning in the green zones should then “seed” the fished areas of the park. In 2012 scientists demonstrated this “seeding” process in the Keppel Islands, GBR, a world-first. The evidence counters the argument that the effects of marine parks are all bad for fishing. Professor Garry Russ is a Professor in Marine Biology at James Cook University. Garry studies the biology of reef fish of commercial and recreational fishing significance. In the Coral Triangle region and Australia, he is undertaking long-term (25 year) studies of reef fish populations inside and outside marine reserves. In 1999, he received a prestigious Pew Fellowship in Marine Conservation jointly with his long-time colleague Dr. Angel Alcala.